Yes, our team is more athletic, better coached (I’d argue), and more practiced, but a high school football team is made up of 14-18 year-old kids. If you’ve ever worked with teens, you know that even the most intelligent students can be emotional, rash, and mistake-prone. They are not perfect. They err. If they were perfect, they wouldn’t need to be in school. If you’ve ever coached high school football, you also know that anything can happen in a high school game, especially the first game of the season when the kids get their first taste of hitting an opponent instead of their teammates. The kids can be overly driven by emotion, feel overconfident, revert to bad habits that you’ve worked on in practice, and more. This is just like the classroom. I have taught my students how to use advanced skills when writing their essays, provided feedback, sat one-on-one with kids, and given multiple practices and then watched my students ignore all of that teaching, coaching, and practicing when writing the very next essay. We then have to go back to those previous skills–the ones they already showed me they could perform–and remind, re-teach, and review. Sometimes kids are just kids. This entry was posted in Football, Lessons, That Kid on September 7, 2013 by drpezz. I’m all for the separation of church and state, and I’m all for halting excessive celebrations after scoring in sports, but this is ridiculous. This entry was posted in Football, Frustration on December 3, 2010 by drpezz. Often I hear my college-teaching friends bemoan the amount of information students lose between high school graduation and the first day of college. This is certainly a problem. However, one student at Oregon State University definitely remembered how to position himself in a proper 3-point football stance which resulted in a tazing. No memory loss there. Maybe a blackout though. Still, there will be plenty of articles to remind him of his 3-point success. This entry was posted in Football, Good Mood on August 24, 2010 by drpezz. I was told a story one time by a fellow basketball coach while at a camp who spoke about motivation and self-confidence. If this story is true, it’s a great tale. Bobby Bowden, after losing a few critical games due to poor field goal kicking, brought three high school field-goal-kicking recruits to a home game to watch Bowden’s Florida State Seminoles play a game. The third recruit became Coach Bowden’s kicker. 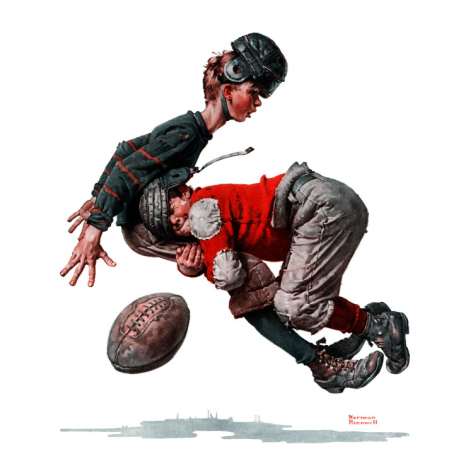 This entry was posted in Football, Lessons on January 15, 2010 by drpezz. Charlie Weis was fired from his head coaching job at Notre Dame. I’d have to say that it was a justifiable firing although I also think Notre Dame has too high expectations, but that’s a post of a different color. Academic successes, however, could not save Weis’ job. Academic success is not the goal. In fact, most college football experts will say that winning football championships and having the highest of graduation rates do not go together (as they have been discussing this week on ESPN Radio and on ESPN’s TV shows). The best athletes in football rarely have the best grades. Still, I like the bitter and revealing irony of Swarbrick’s comments. Collegiate athletic programs are more concerned with victories than they are with graduates. Perhaps this is a statement which is overly obvious, but it still resonates with me. A part of me feels like this situation is somewhat analogous to the pressure applied to teachers in the classroom. Having high standards for students is ultimately important, but we’re asked to focus on passage or graduation rates. I have posted previously that I have been pressured to pass kids or make deals with kids rather than holding them to the requested high standards. This, to me, again shows that academics and learning are not the priority but numbers are. It sometimes comes down to a win/loss record first and foremost. This entry was posted in Administration, Diplomas, Football, Graduation, Sports on December 5, 2009 by drpezz. 300 yards rushing is a rarity in high school football, any level of football really, and Palmer should be proud and probably thought no one in the conference would match it. He would be the talk of the league for the week. What an amazing night of football! I tend to look at the stat lines in games, and I love looking for these types oddities. One player has a career game, which would normally be the highlight of the evening sports report, but another athlete in the same league (or even game sometimes) has a bigger one. Baseball is normally the arena where this happens most often, but it happens elsewhere as well. Of course, my mind wandered right back to teaching and education in general. I sometimes see the stories in the newspaper or on television where a school is highlighted for its miraculous improvement in state test scores or the increase in the number of students taking AP courses, and I really wish there could be a regular segment of a news program or a section in the newspaper reserved for the greatness around us every day. I want to hear about the incremental improvements over time in my local schools, to see the pictures and names of the kids who are the first in their families to earn a diploma, to read about the teacher who works with the most difficult populations without any accolades, to know about the teachers who work behind the scenes and put in boatloads of hours working to improve education for the kids, and so on. The stories about individual greatness are fun, but I want the realities and the unsung heroes of my profession. Maybe I’m just channeling an old post–I don’t know–but I do respect those local greats who live without honors and awards and still do everything they can to help kids and colleagues. This entry was posted in Football, Pop Culture, PR, Sports on October 17, 2009 by drpezz. Where do you go in Seattle in case of a hurricane? Answer: Husky Stadium: they’ve never had a touchdown. How do you keep a Cougar out of your yard? Answer: Put goal posts in it. What’s the difference between the Huskies and a dollar bill? Answer: You can get four quarters from the dollar. Have a great Saturday, and I’ll be back with some education thoughts on Sunday. This entry was posted in Football, Good Mood, Snarky, Sports on November 21, 2008 by drpezz.